UNU-MERIT » Mygration Story: Who is a migrant anyway? Mygration Story: Who is a migrant anyway? I identify strongly as a migration researcher. So I sometimes feel inadequate next to all my colleagues who can brandish intriguing migration histories from their own lives. My story seems parochial by comparison: I was born and raised in Oslo, Norway, and so were both my parents. I still call Oslo home, and I even have my entire university-level education from the University of Oslo. My great-grandfather admittedly migrated from Sweden to Norway, but that’s about it. Oslo has been a firm base, but largely that: a base. I moved abroad on my own when I was 16, after I won a scholarship to study at the United World College of the Atlantic, in Wales. And I have later lived in Cape Verde, the Netherlands, the United Kingdom, Italy, Senegal, Singapore and China. The taste for experiencing the unfamiliar is something I perhaps have from my parents. For instance, my mother was among the pioneers of the Norwegian Peace Corps in Uganda and my father enrolled at the historically black Howard University in Washington DC, as more or less the only white student in the late 1950s. Besides any parental influence, I also married an adventurous woman who has taken the lead in much of the family’s mobility. But in the absence of a proper migration history, how do I relate my personal background to migration? Even before being challenged to write this post I have, in fact, seen several connections that have inspired me and even shaped my thoughts on migration theory. The first connection is about migration and the quest for a ‘normal life’. It is remarkable how migrants in disparate settings justify their move with reference to such a wish. They have diverse concepts of a ‘normal life’ and depart from circumstances that differ widely in terms of what makes them fall short of ‘normal’ – but the quest for normality is a recurring element. If I try to define what normal might mean in this context, I think of humility, simplicity, and everyday routines. When my family and I have temporarily migrated to other countries, the evident motivations have been professional. But we have also been enticed by the prospect of a daily life filled with appreciation of little things. That is something I have cherished: bargaining with taxi drivers in Dakar, having weeknight dinners at a food court in Singapore, and cycling with my children through the streets of Maastricht, in the south of the Netherlands. The point is that these were not exceptional holiday moments, but parts of daily life. These experiences are personal and particular, but nevertheless a reminder that everyday life should figure prominently in analyses of migration. The second connection is about scale. Migration researchers tend to focus on international or long-distance migration, but my own most challenging migration experience was across a distance of 2 kilometres. Last year we moved out of the neighbourhood where we had lived for the past 14 years and raised our two children. I intensely wanted to stay, but we needed more space and the larger houses in the area were beyond our means. The idea of moving to a new and unfamiliar neighbourhood was surprisingly overwhelming. Unlike our stays abroad this was not temporary: it was a matter of severing ties and creating a new base. Despite the short distance, the challenges were familiar from the migration literature: weighing economic and social concerns, not knowing what a future elsewhere would bring, and exercising agency within clear limitations. The third connection is about integration: a research theme I have shied away from, but increasingly recognise as an important part of the migration puzzle. Again, I have learned something from my own experience. Although my stays abroad have all been temporary – two years at the most – it has been easy to imagine staying much longer. Would I have integrated well? I have, in fact, felt very integrated in some of the places I have lived. But I would have had a low score on any kind of integration index. 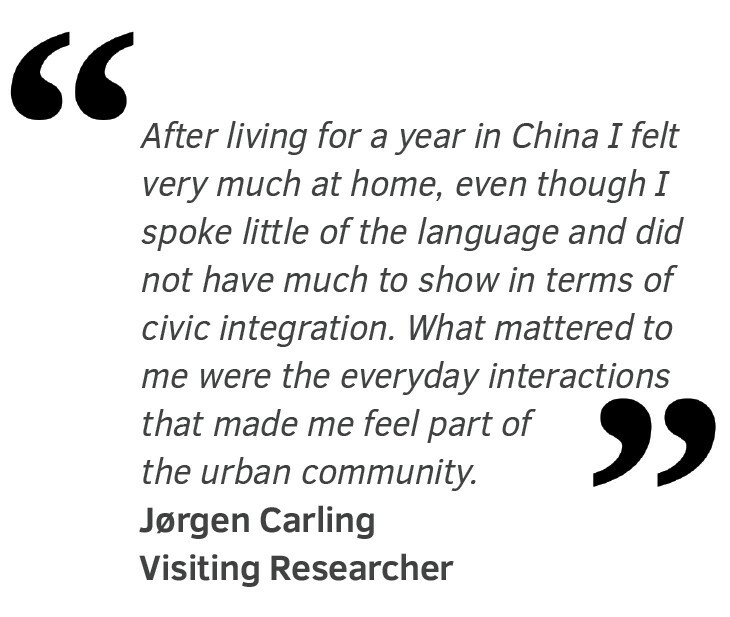 After living for a year in China I felt very much at home, even though I spoke little of the language and did not have much to show in terms of civic integration. What mattered to me were the everyday interactions that made me feel part of the urban community. The final connection is about the reasons for migration. In a paper on migration theory, I have argued that there are essentially two possible motivations for migration: either migration serves as a means to an end – be it freedom from persecution, family reunification, or something else – or migration is an end in its own right. We usually ignore that possibility, but in some cases migration has an appeal that cannot be reduced to an instrumental purpose. I did not have my own experience in mind when I made the argument, but now almost feel that I am living proof of it. Before coming to Maastricht, our starting point was that we saw an opportunity to go abroad and wanted to seize it. We considered different options and decided on Maastricht for a combination of pragmatic, personal, and professional reasons. Now that we are here, we thoroughly enjoy it as a migration experience. But seeing it as migration in order to achieve a specific objective makes little sense. I started off with a reference to all the migration researchers who can say that ‘I too am a migrant’. That seems like an enviable platform for expertise, but I think it also creates some discomfort. There are so many dimensions of diversity, experience, and privilege that it is hard to say who qualifies as an ‘insider’ in migration research. And, as one of my favourite theorists has put it, ‘the vicissitudes of attachment, separation, loss, and renewal are unavoidable aspects of every human life’. Jørgen Carling is Research Professor at the Peace Research Institute Oslo (PRIO). His research addresses a broad range of themes related to migration and transnationalism, including migration theory, migration management, transnational families, remittances, and the links between migration and development. 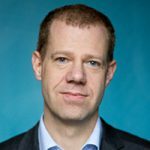 He has been a Visiting Fellow at the Netherlands Interdisciplinary Demographic Institute (2003), the University of Oxford (2005), the National University of Singapore (2010), and Maastricht University / UNU-MERIT (2016). He received his doctorate in human geography from the University of Oslo, Norway in 2007 and attained the status of full professor in 2011.